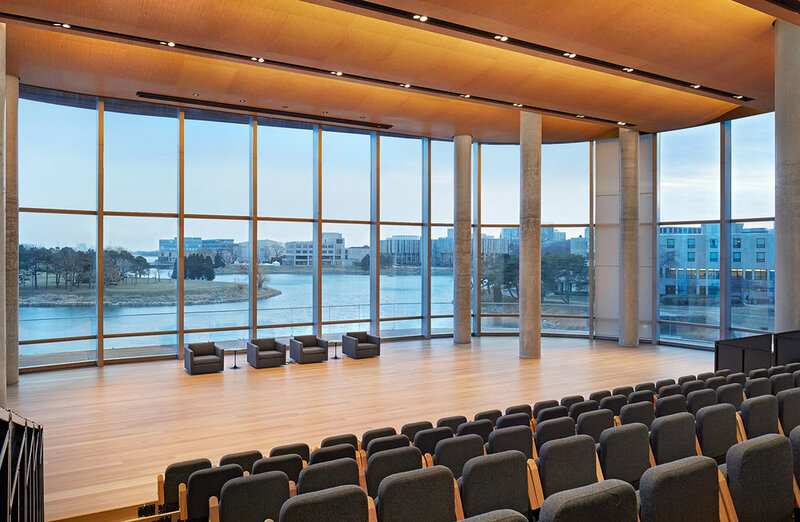 Kellogg School of Management created a new home of greater than 350,000 sf to educate the next generation of business leaders. The building is organized into lower floors of larger public spaces and upper floors of offices, research facilities, seminar spaces, and collaborative impact areas, all surrounding a central atrium. AV systems throughout the building provide for facile communications among students and faculty, both within the facility and at sister institutions elsewhere for distance learning. Thanks to early development of the under floor plenum and arrangement of space, acoustics throughout the facility allow the simultaneous function of all of the primary spaces without interruption – an approach that is challenged by the use of natural ventilation and radiant systems for primary environmental controls.